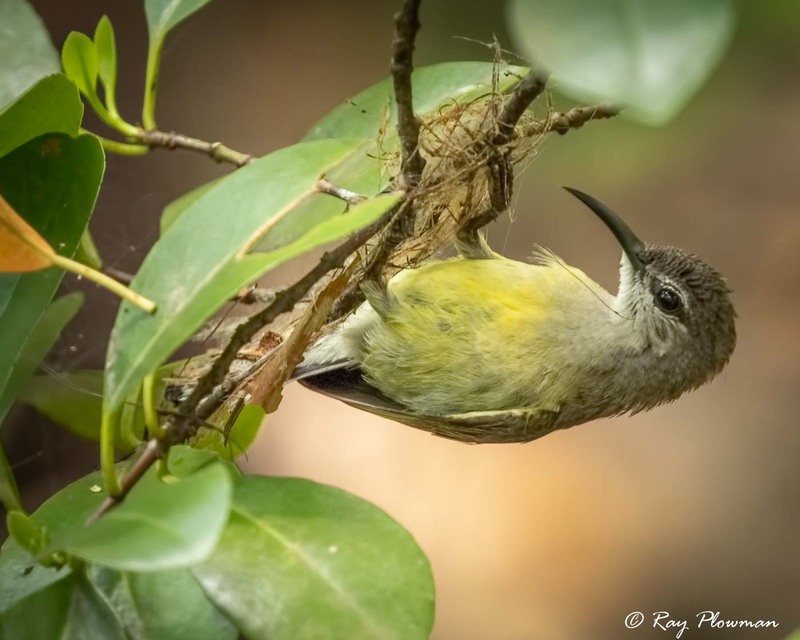 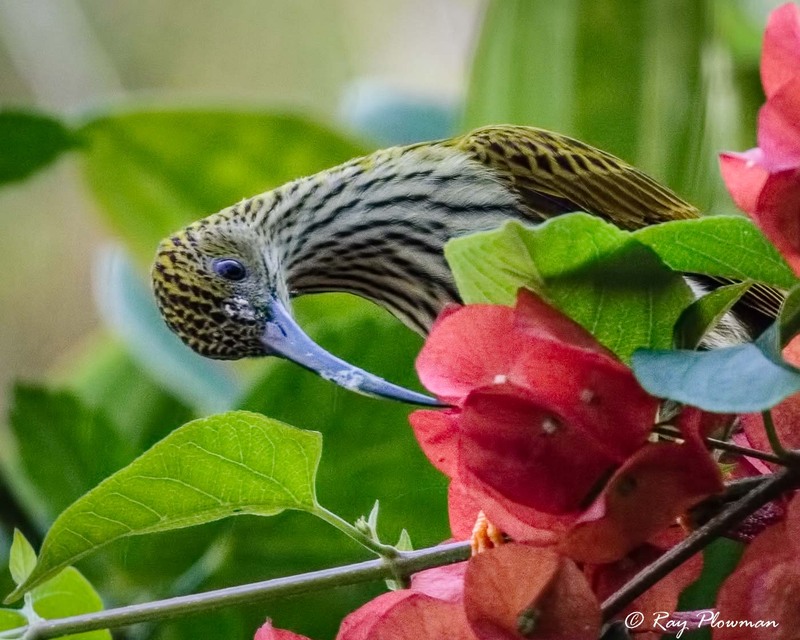 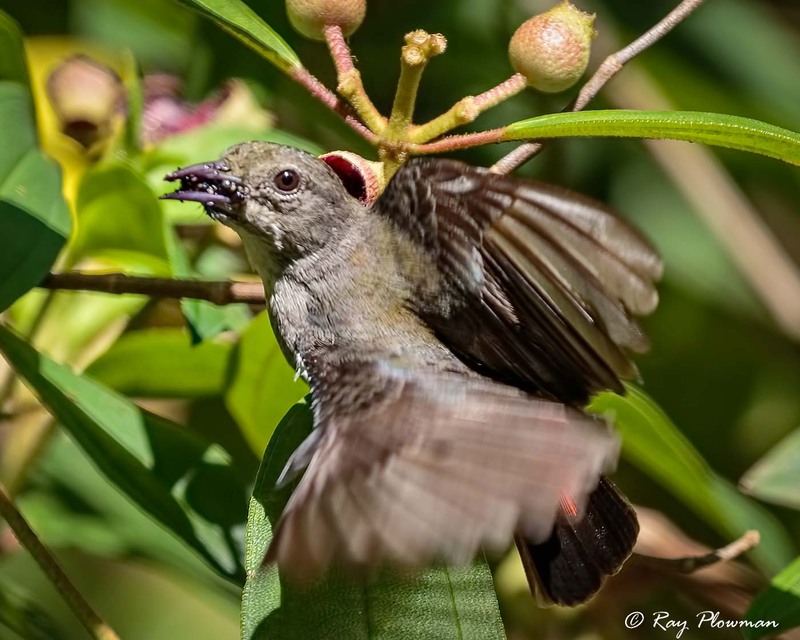 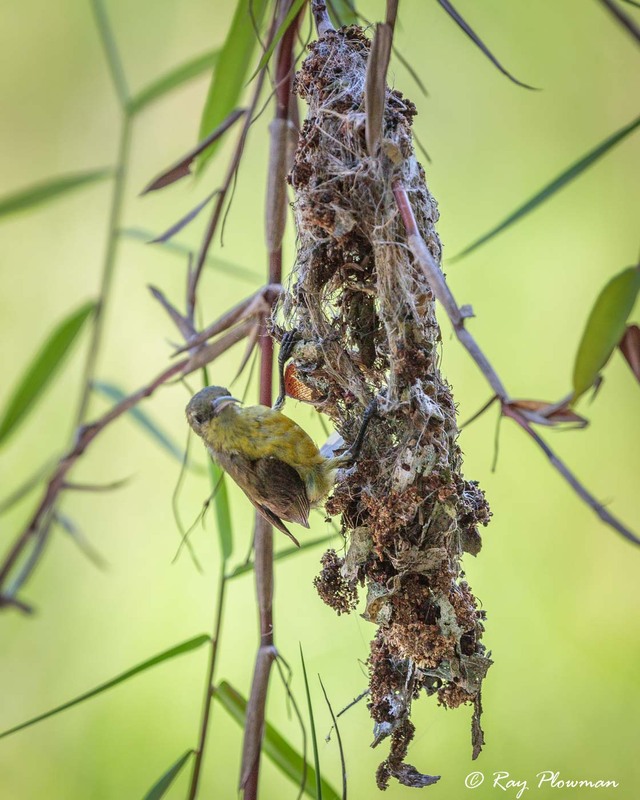 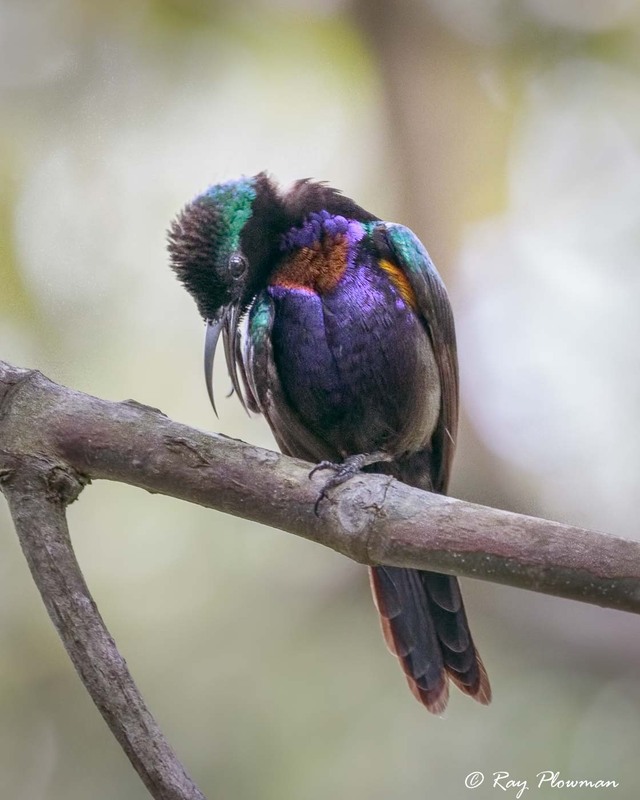 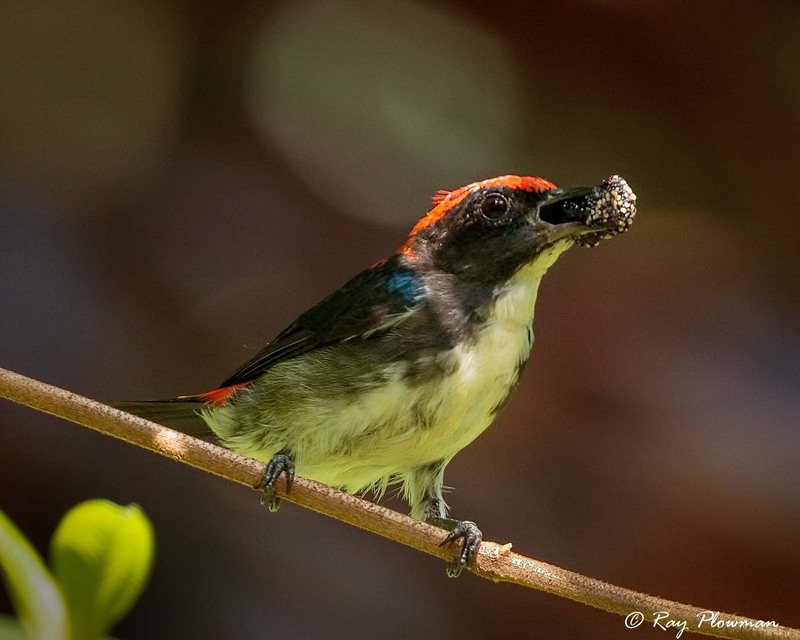 Two galleries are featured, the first is a photo essay of olive-backed sunbirds building nests and raising their young, while the second depicts some behavioural aspects of sunbirds, spiderhunters and flowerpeckers. 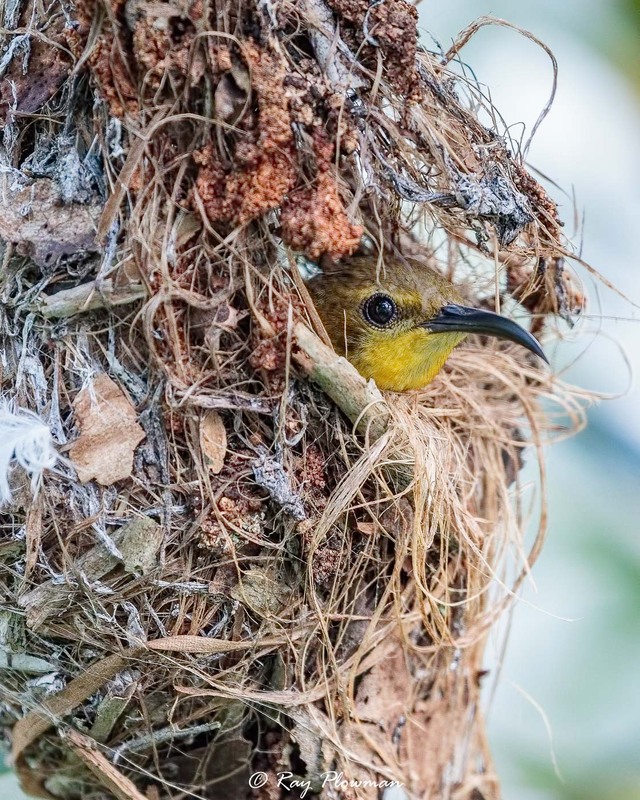 These are probably the most common species found in Singapore. 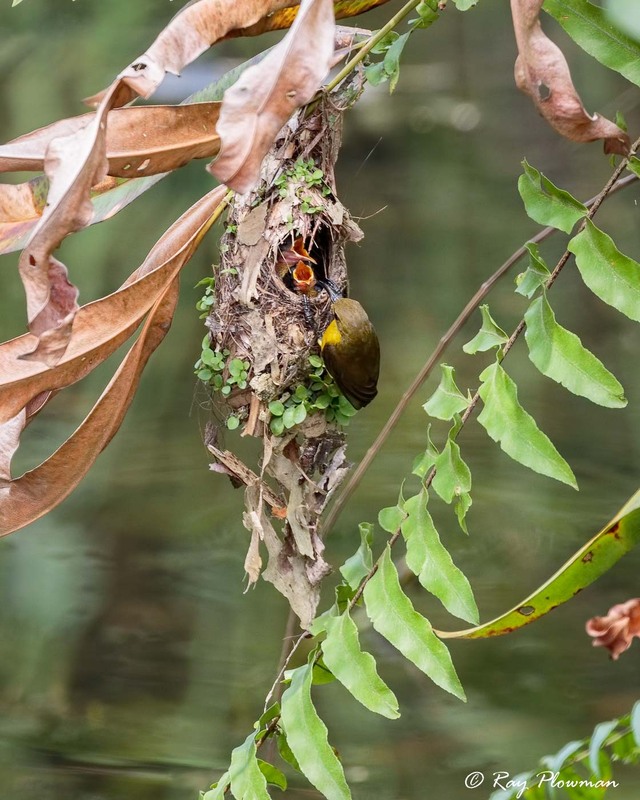 The gallery shows images of nest building, nests built over land and water, a female incubating here eggs and several different nests of both male and female feeding chicks at different stages in their lifecycle. 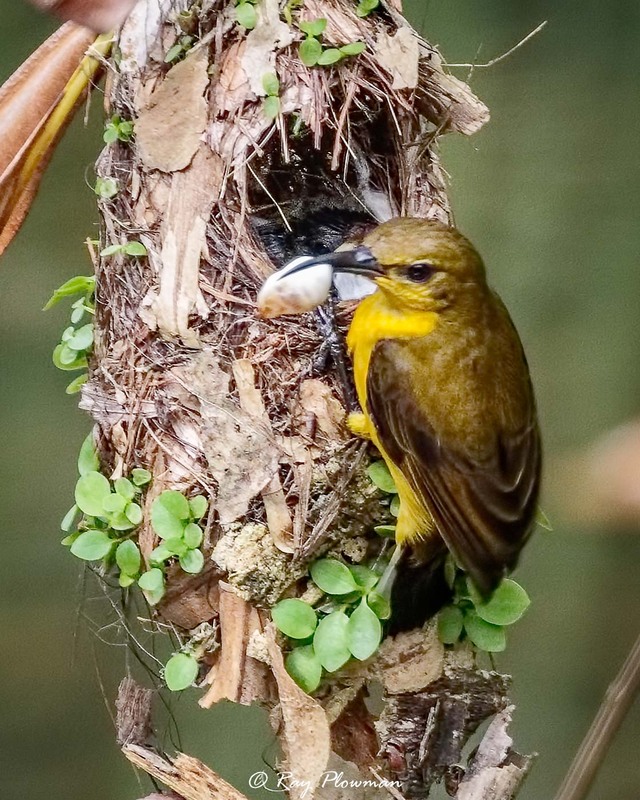 The image of a female in the nest incubating here eggs, which takes about two weeks, was built over water in Sungei Buloh Wetland Reserve. 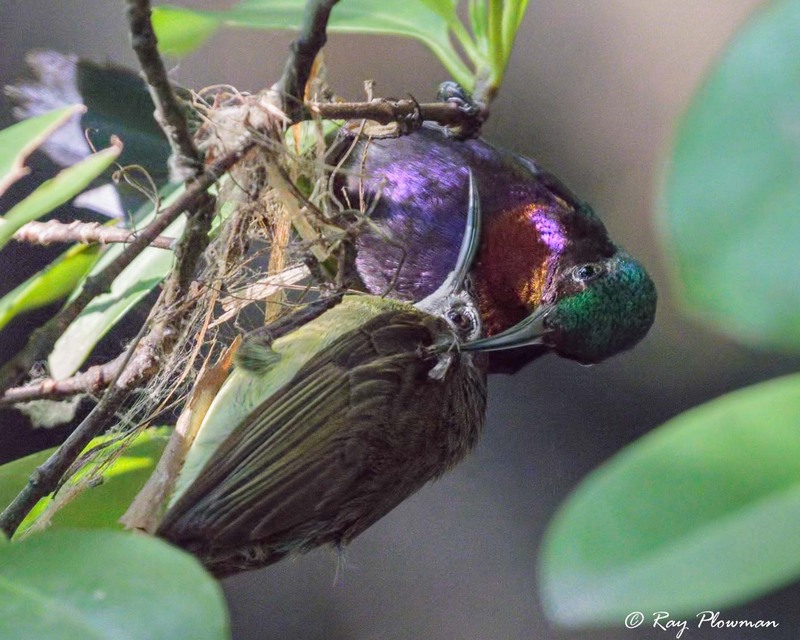 I returned to this nest after several days, but it had been predated possibly by the squirrels or crows that I often see in the area. 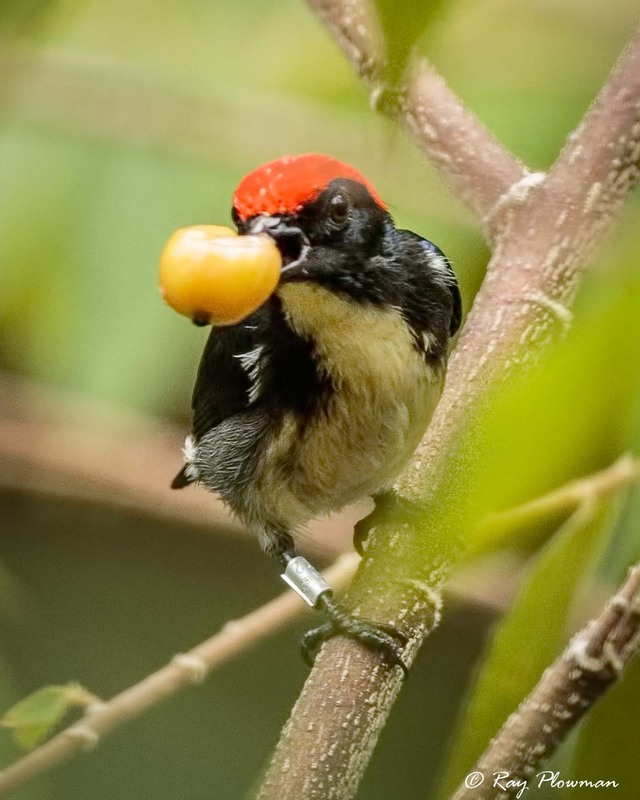 Other known predators include macaques and black-naped orioles. 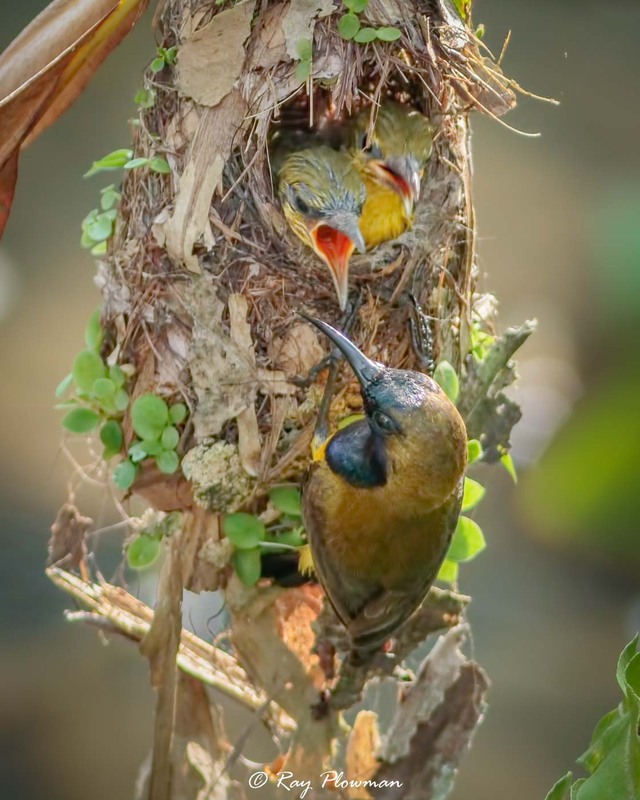 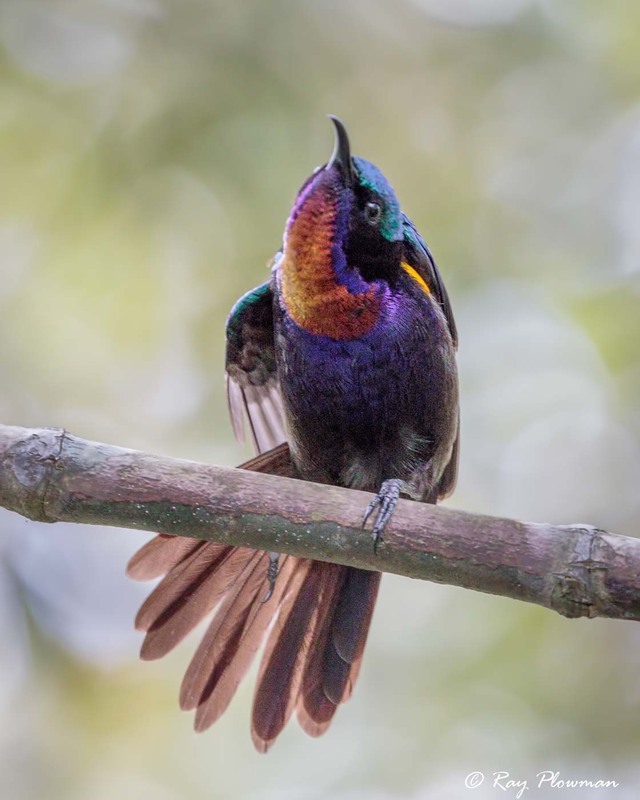 Sunbirds are pollinators feeding on nectar. 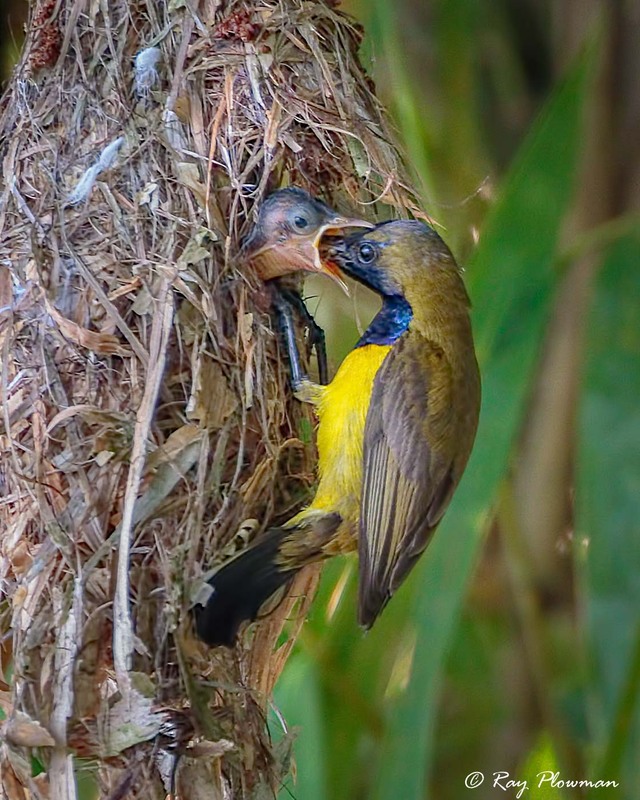 One image shows a female regurgitating nectar to feed here chick(s). 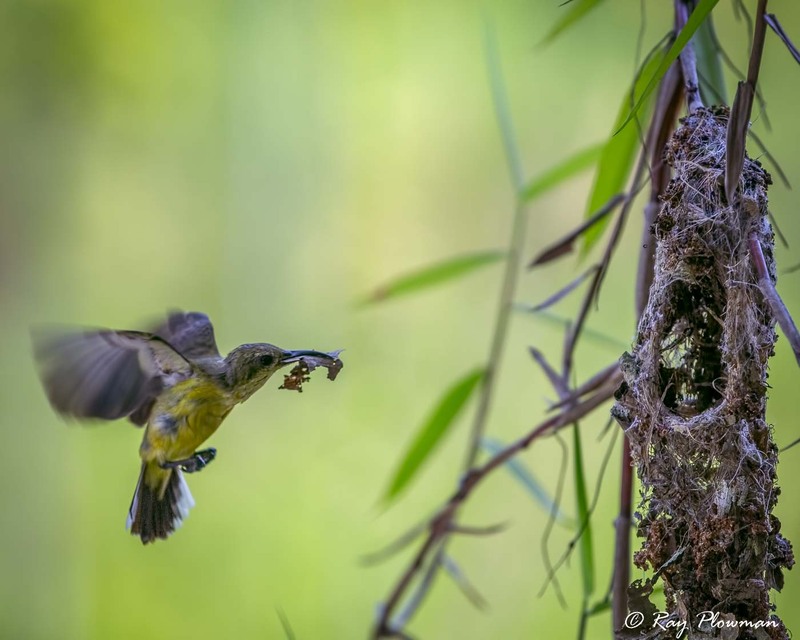 Other images show male and female birds feeding young chicks, which typically fledge in couple of weeks. 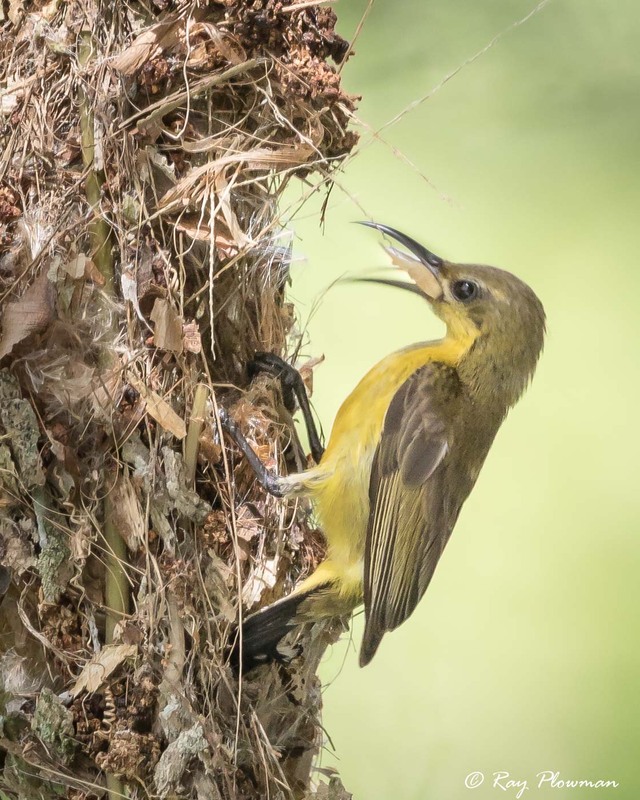 One nest in Sungei Buloh was built over the water, while photographing I saw a water monitor lizard cruising below the nest, also macaques where nearby both interrupted the feeding, the parents waiting until the danger had passed. 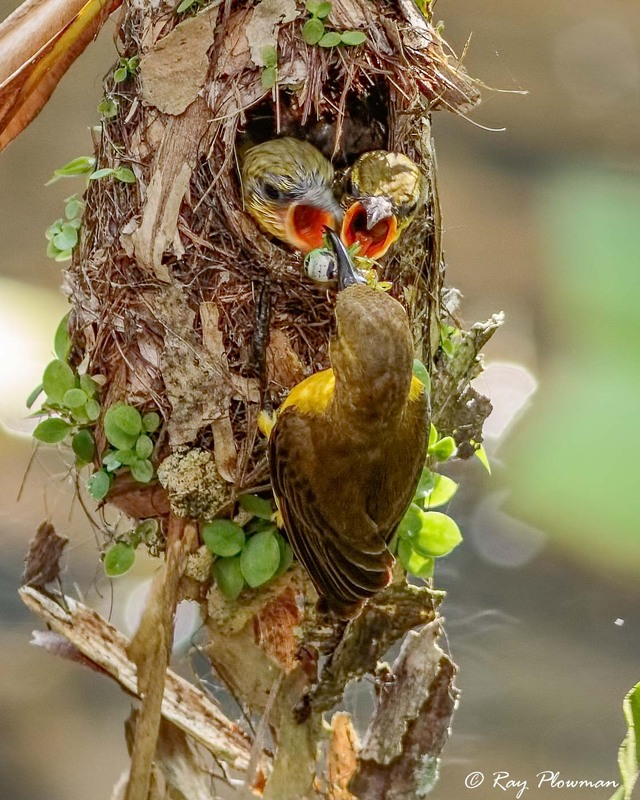 Chicks are fed insects, a supplement to nectar. 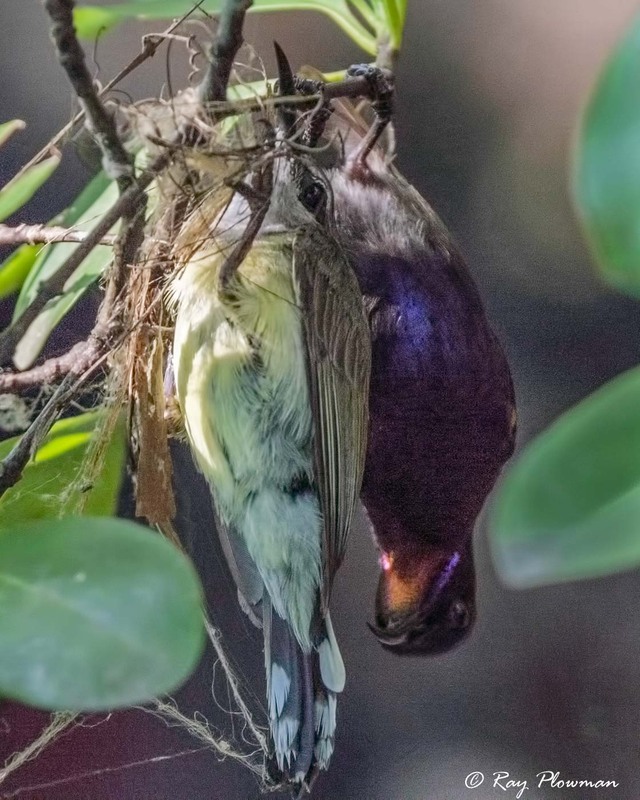 Parents remove faecal sacs after feeding and deposit away from the nest. 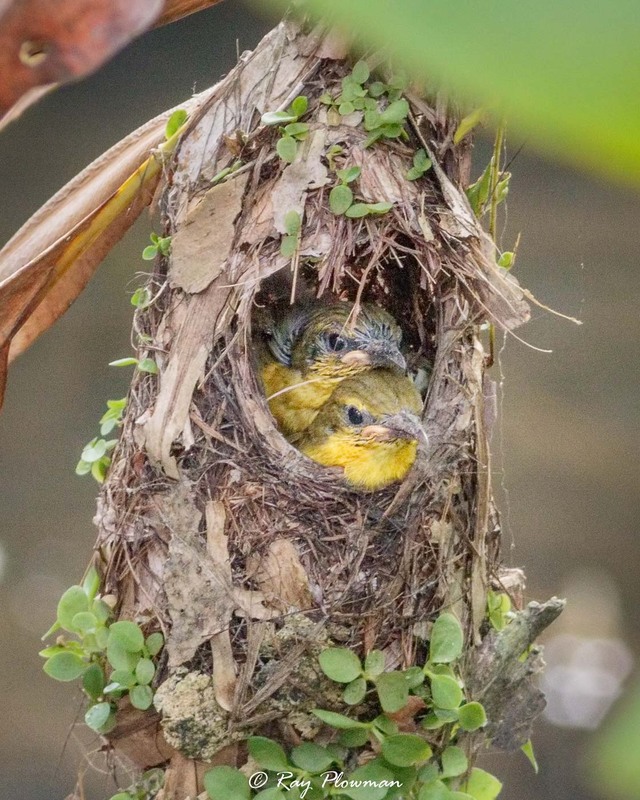 The last image shows well-developed chicks possibly near to fledging looking at the world. 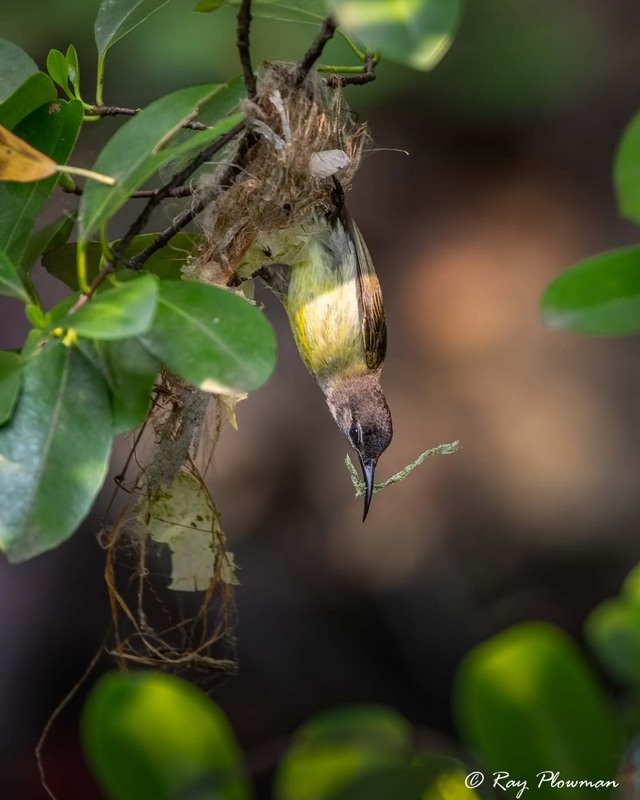 The first five images show a female copper-throated sunbird starting to build here nest which, I think this was a second attempt at nest building as a nearby nest had been abandoned. 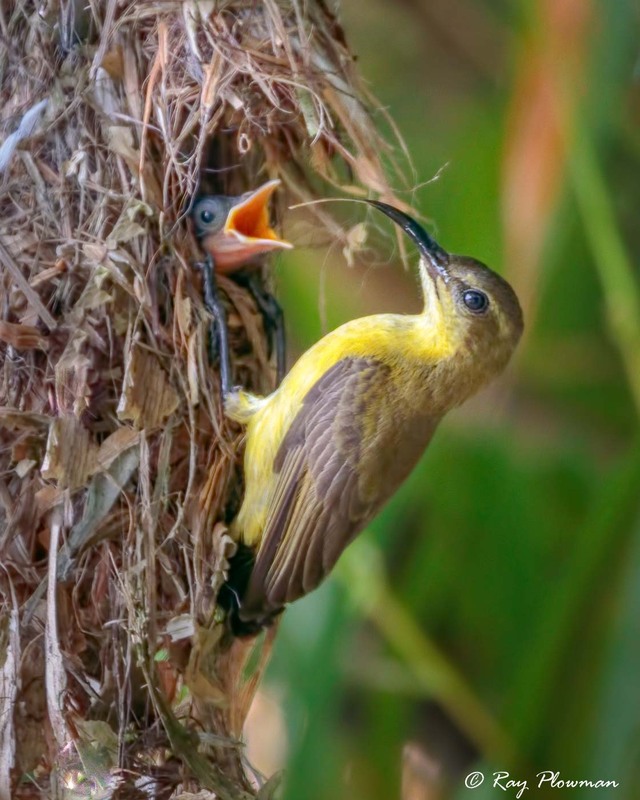 A male suddenly flew to the female courting here but flew off after half a minute or so. 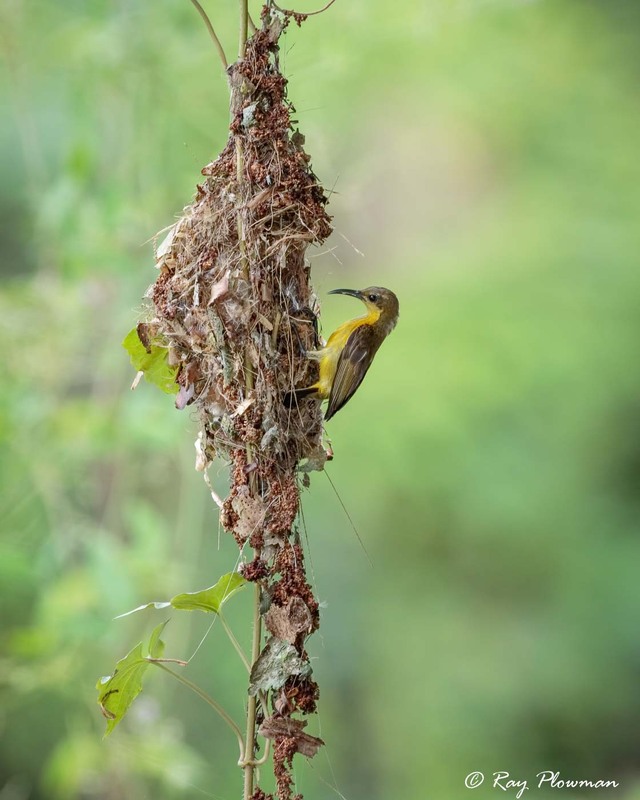 I revisited the area about a week later, but the nest had gone. 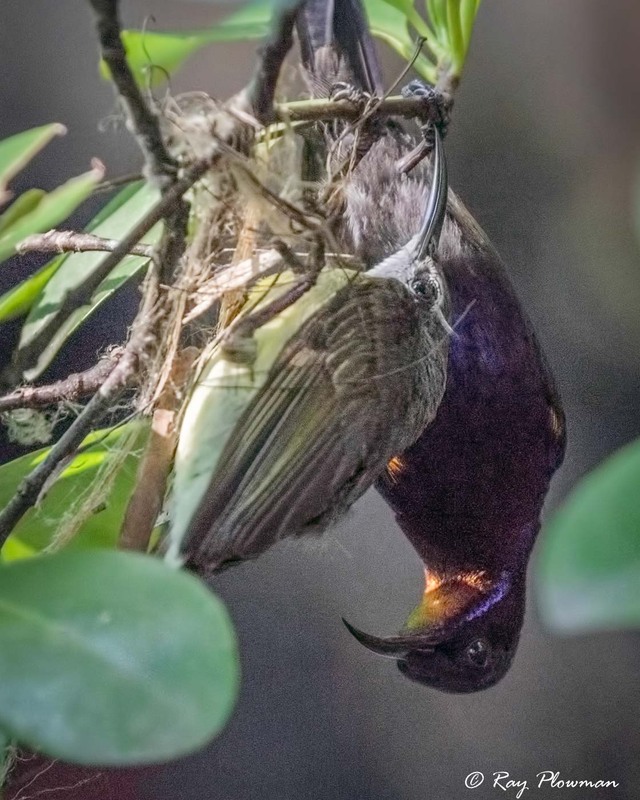 Two images show a male copper-throated sunbird perched and preening himself, while the remaining images are a male and female scarlet-backed flowerpeckers and a streaked spiderhunter feeding.